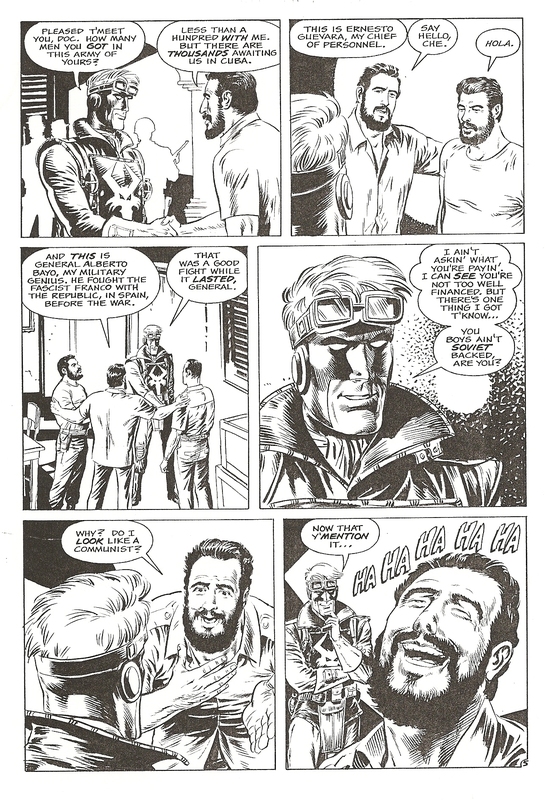 Intended as the Skywolf back-up for issue #51 of Eclipse’s AIRBOY comic. 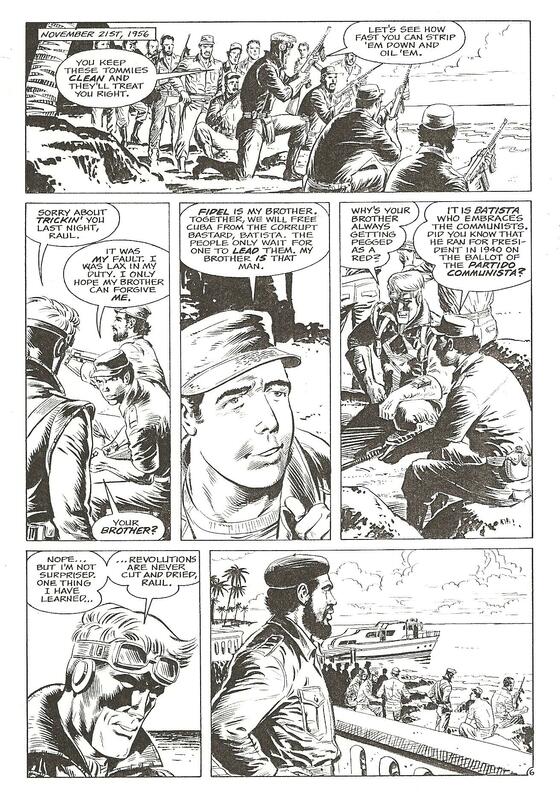 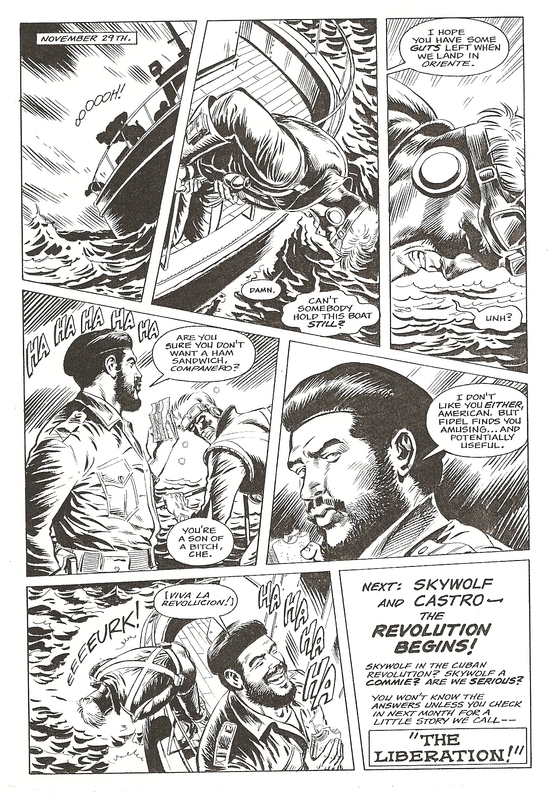 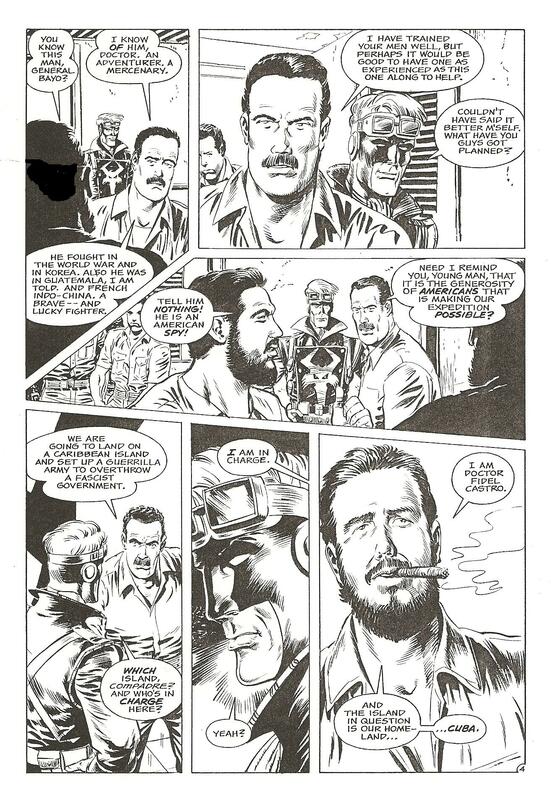 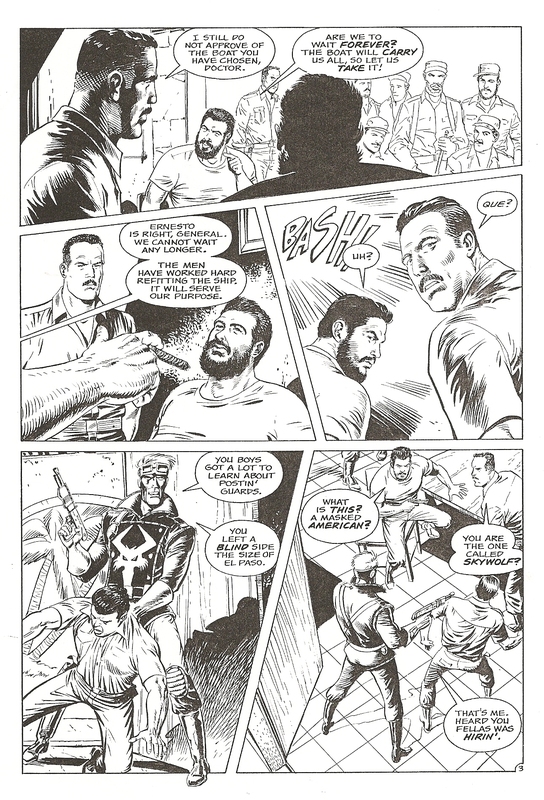 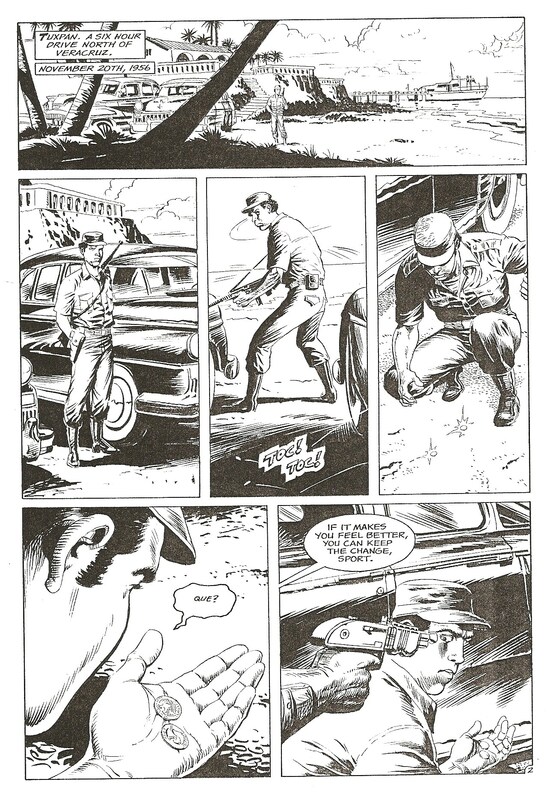 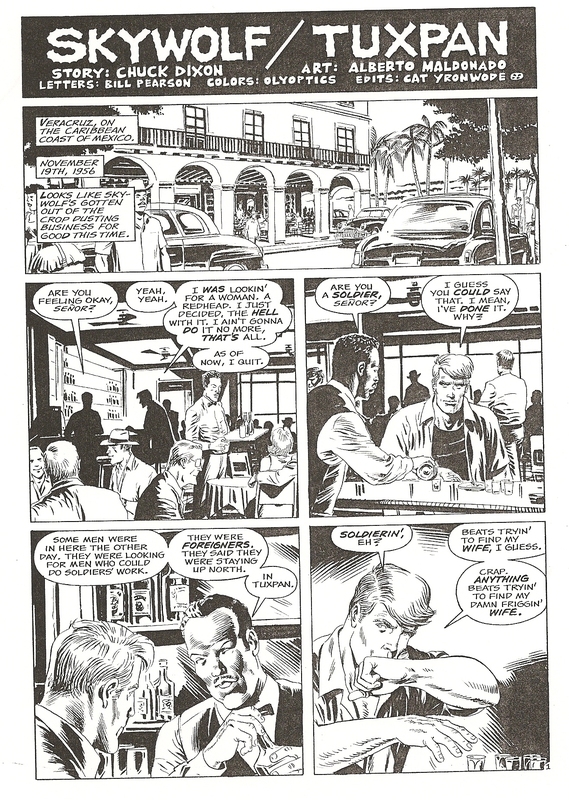 It was the start of a four story arc featuring Skywolf signing on to help Fidel and Raul Castro get into Cuba! 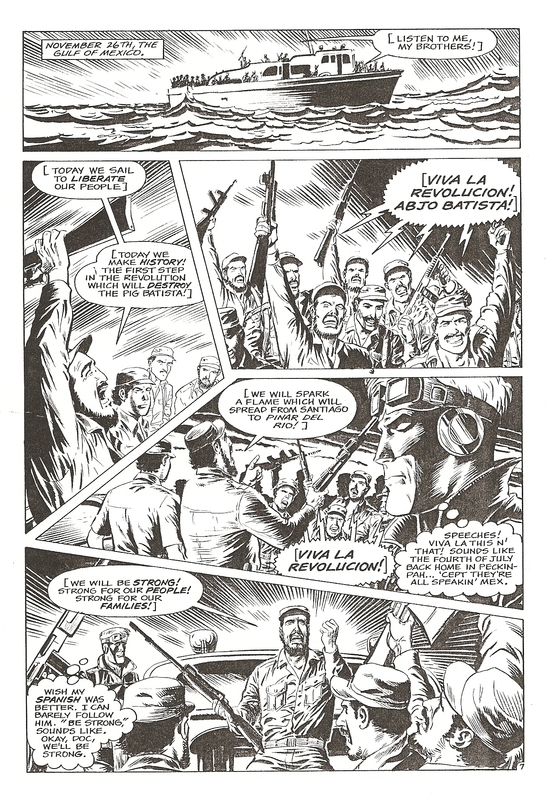 It was to climax with Sky hunting down Che Guevara and assassinating him (as previously established in Airboy continuity).